Have you seen the new and almost-new designs that have been added recently? Here is a little round-up of some of them, and a hint of what is coming soon! OR CLICK ON THE PHOTO TO GO TO THAT PATTERN! New Cloths are added each month to learn a Victorian stitch in the Victorian CAL Cloth & the Victorian KAL Cloth series. They are mini-mysteries with just the one clue; nobody knows what they look like until you make them…photos are only on the last pages of the pattern, or in the Ravelry West Coast Fibre Arts Group “Spoiler Photos” threads. Here are links to the March Cloths–and the new KAL Knit cloth is 50% right until midnight the 22nd, so will cost less than $1US! Celebrate each Friday with a Flower: that is, a new Victorian Flower! These are “3-Rs Patterns”: Re-searched, Re-Written, Re-worked from Victorian era patterns for you to make as embellishments for hats & bags, to make pictures, etc. Some will be part of a larger design published soon, for instance an afghan or a d’oyley. They are FREE for now, until I gather them all into a book of patterns. Here are the first 2–don’t forget to come back Friday for a new one! 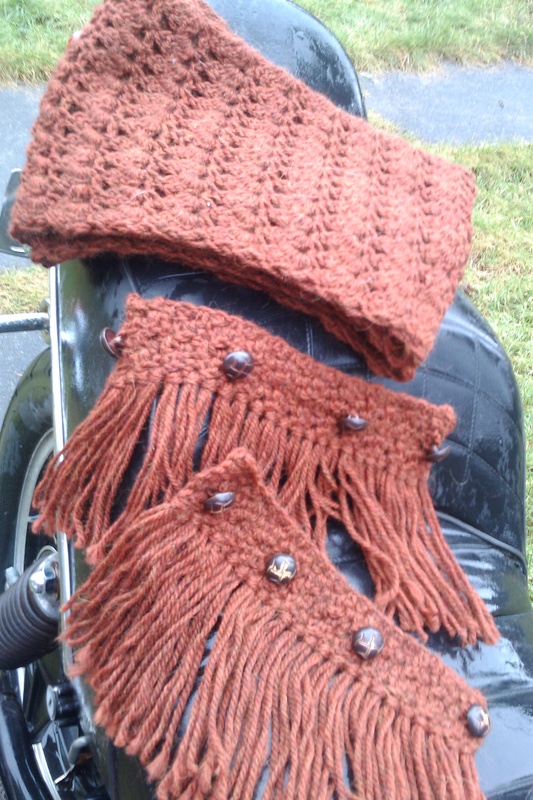 Gilda’s Cuffs: perfect for spring & summer–a pair of little lace cuffs to add a delicate new touch to a sweater or jacket, you can make them in cotton or wool, in thread or yarn…they’d be lovely for summer weddings with pear beads added! 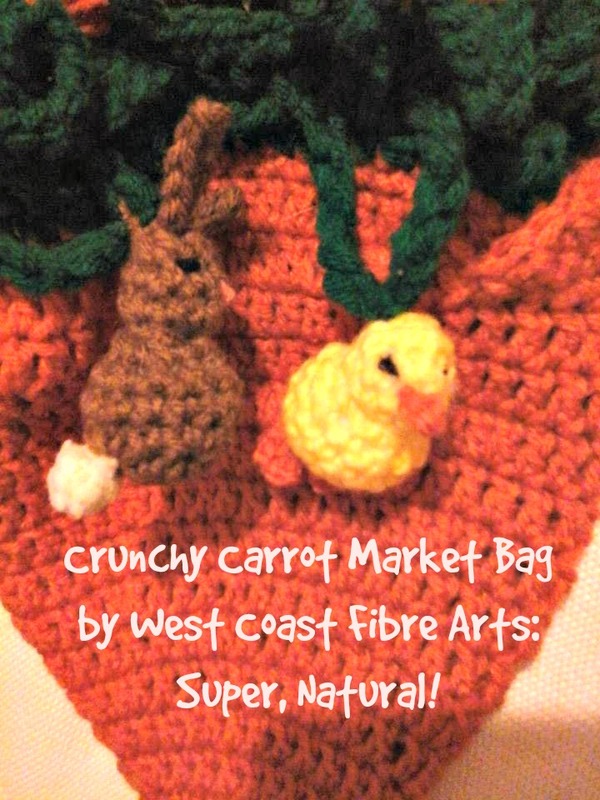 Crunchy Carrot Market Bag: It is perfect for Easter & all year round! 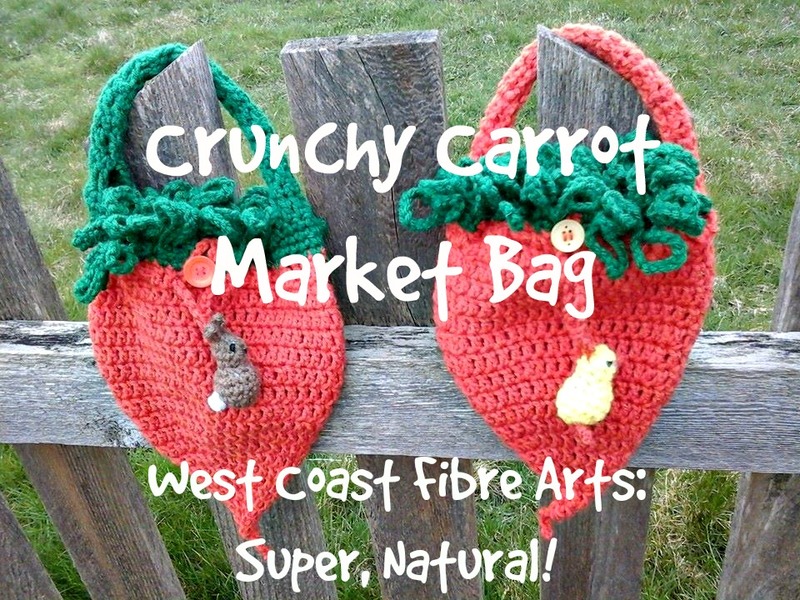 Make it for children…but wait to see how you will be able to make it into an expandable shopping bag for adults, too! 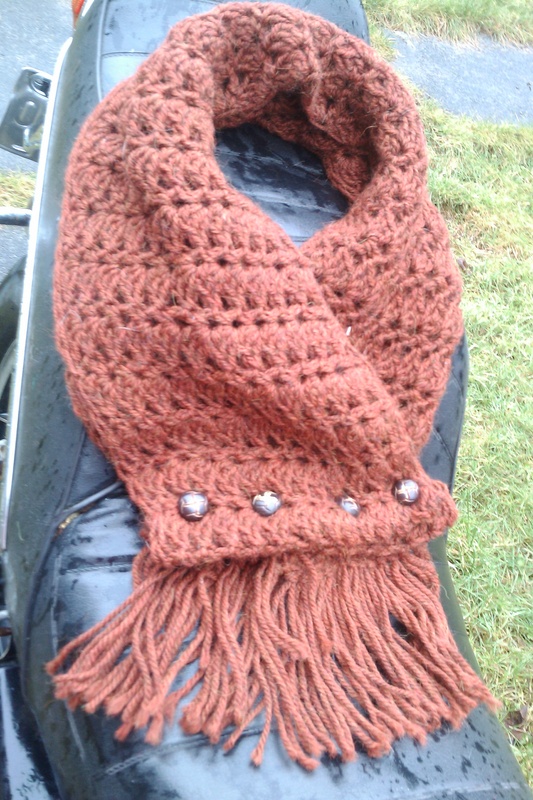 COMING SOON FOR SHAWL KNITTERS! So be sure to check in often for new designs–something new almost every week! If there is a type of pattern you’d like me to design, let me know on my Facebook Page! Lady Edith’s London Nights…more pattern rows! THE “LADY EDITH’S LONDON NIGHTS SHAWL” PATTERN IS NOW AVAILABLE AS A PDF PATTERN TO PURCHASE HERE OR ON RAVELRY. TO PURCHASE NOW, FOR $5.00. PLEASE CLICK ON THE FIRST PHOTO. PLEASE CONTACT ME IF YOU NEED ANY HELP, FIND ERRORS, OR WISH TO COMMENT. I have finally finished weeks 3, 4, and 5 rows . If you are making this shawl, I’d appreciate feedback about how you like the design, if the instructions are clear, etc. Please feel welcome to post comments and/or photos on my Facebook Page. IF YOU FIND ERRORS OR NEED HELP PLEASE CONTACT ME…..THANK YOU!! …. 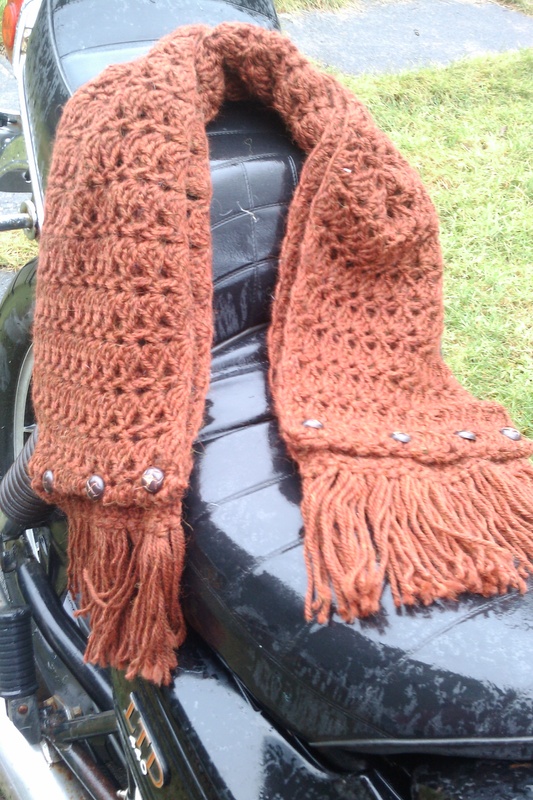 PLEASE POST PHOTOS AND LINK TO MY DESIGN ON RAVELRY IF YOU ARE A MEMBER. RAVELRY IS FREE TO JOIN AND A GREAT PLACE TO SHARE PROJECTS, FIND PATTERNS, AND JOIN DISCUSSION GROUPS! FOR GAUGE, YARN WEIGHT SUGGESTION AND HOOK INFORMATION SEE EARLIER POST. IF YOU FIND AN ERROR, PLEASE SEND A MESSAGE ON THE CONTACT FORM OR ON FACEBOOK. IF YOU NEED HELP, PLEASE ASK ME. THAT’S ALL FOR NOW!! THE SHAWL IS ALMOST FINISHED. FOR INSPIRATIONAL PHOTOS AND COLOUR SUGGESTIONS IF YOU NEED TO OR WANT TO USE MORE THAN 1 YARN, I SUGGEST YOU LOOK AT ALL THE KNITTED “DOWNTON ABBEY MYSTERY KAL 2014” PROJECTS ON RAVELRY, THE SHAWL THAT INSPIRED MY DESIGN. 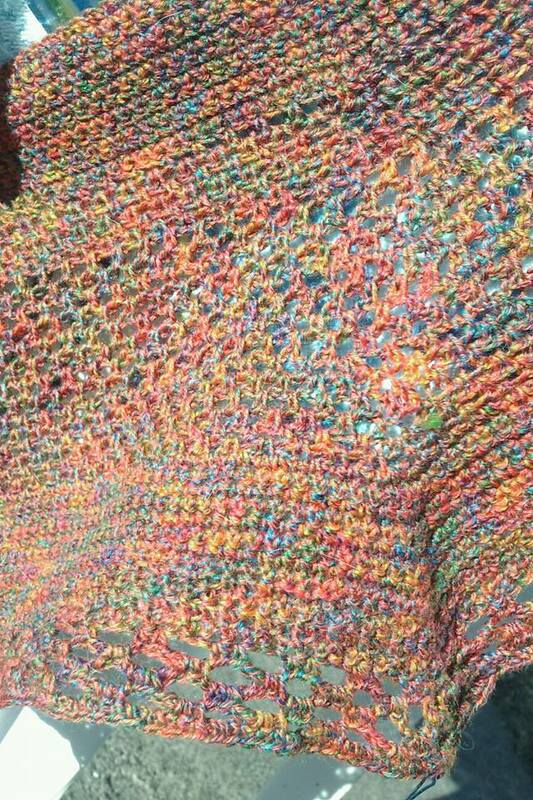 IF YOU ARE A KNITTER, I HIGHLY RECOMMEND THAT YOU MAKE KRISTIN’S LOVELY SHAWL! THE “LADY EDITH’S LONDON NIGHTS SHAWL” PATTERN IS NOW AVAILABLE AS A PDF PATTERN TO PURCHASE HERE OR ON RAVELRY. TO PURCHASE NOW, FOR $5.00, CLICK ON THE FIRST PHOTO. PLEASE CONTACT ME IF YOU NEED ANY HELP, FIND ERRORS, OR WISH TO COMMENT. Downton Abbey’s Season 4 Episode 2 aired last Sunday, and those who are following along with my shawl will know that I am making 2 different shawls to celebrate this season’s episodes. I am trying to make a shawl that uses both textured and lacier stitch-work that is similar in shape and size to the Downton Abbey knitted mystery shawl hosted by Jimmy Beans Wool. 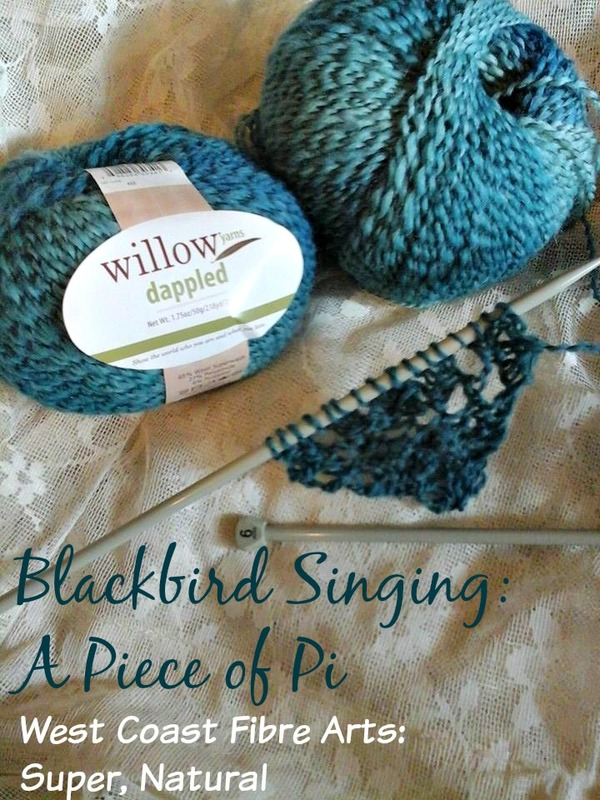 PLEASE do NOT make this shawl yet if you want to be guaranteed a certain shape, size, yarn yardage, etc. This design is definitely going to be available as a finished pattern in about 6 more weeks (after the current Downton Abbey season is finished). For yarns, hooks, previous tips and suggestions, etc SEE PREVIOUS POSTS! I can not repeat everything as I hope to keep the posts shorter. 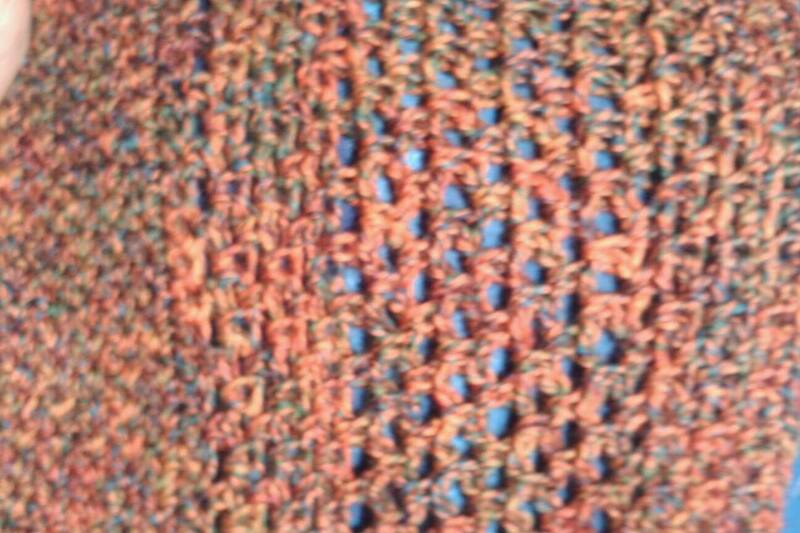 After the shawl is finished all the information will be gathered into a single pdf file. Meanwhile, as this is a work-in-progress, please refer back for some information–thanks! And, as always, write to me (from the blog contact form, on Facebook, or on Ravelry) if you need help, have suggestions, or just want to comment! Please link to my pattern on Ravelry–I would really appreciate it! 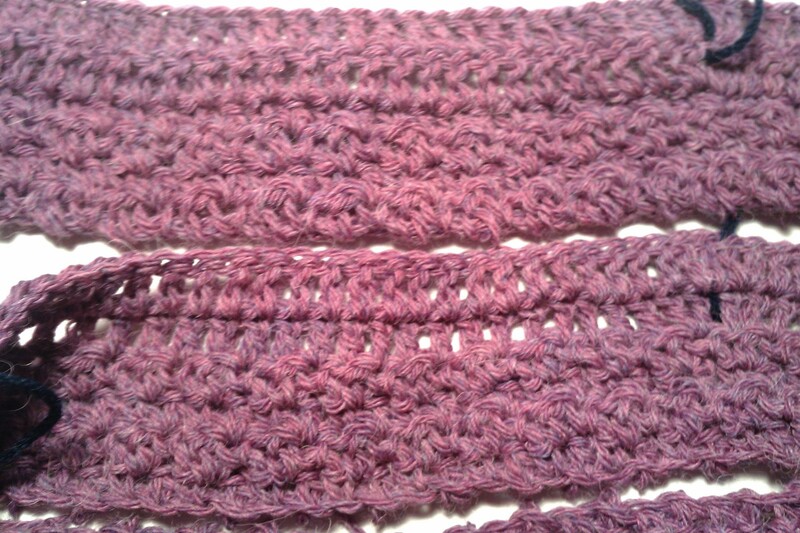 Note that in these photos I still have to do the single crochet rows to end this week’s work. Copyright Note: the Downton Abbey tv set photos are not my copyright; they were found on the internet but clearly Copyright is held by the TV studio, Carnival Film & Television Ltd. I am using them only demonstrate fashion and social norms of the era. The new Week 2 clues for the knitted Downton Abbey Mystery KAL shawl were released Sunday. I spent a lot of time today choosing the stitches I’d use for my crocheted version, and figuring out how to work the increases in, etc. Now I am crocheting them, to try to make sure everything works out correctly. 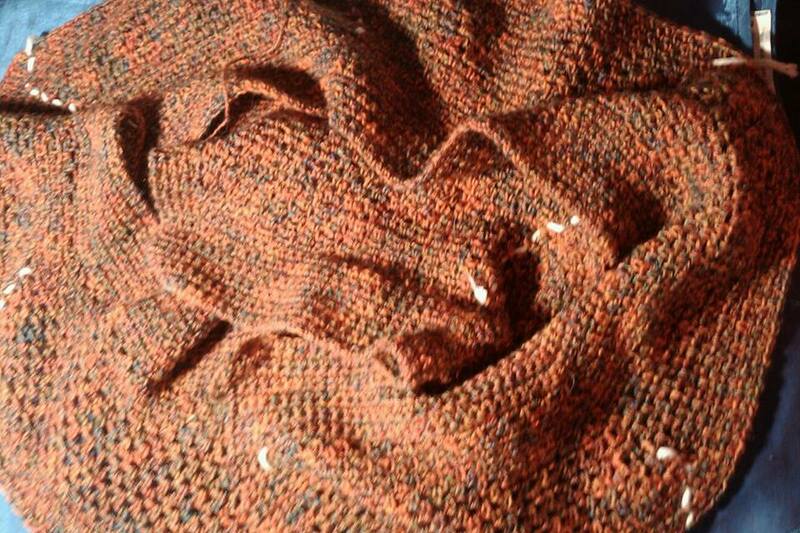 EDIT: I APOLOGISE FOR BEING LATE WITH DOWNTON ABBEY SHAWL POSTS/INSTRUCTIONS. “LADY EDITH’S LONDON NIGHTS” WEEK 2 HAS BEEN POSTED, AND I HOPE TO SHARE “TEA WITH LADY GRANTHAM” WEEK 2, LATER TONIGHT. I WILL ALWAYS POST THEM AS SOON AS I CAN. I HOPE THAT YOU WILL UNDERSTAND THAT I AM AN OLDER WOMAN WITH CHRONIC ILLNESS, AND WHEN I AM NOT WELL I AM UNFORTUNATELY NOT ABLE TO SPEND THE MANY HOURS CROCHETING, KNITTING, WRITING, AND TYPING THAT A NEW PATTERN REQUIRES. I KNOW THIS IS UPSETTING FOR THOSE WHO ARE WAITING FOR NEW ROWS TO WORK, BUT IT IS SADLY BEYOND MY CONTROL–OF COURSE I NEVER WISH FOR THESE EXTENDED TIMES OF ILLNESS, AND CERTAINLY DO MY BEST TO GET BETTER QUICKLY SO I CAN CONTINUE ON MY FIBRE ADVENTURES AND SHARE THEM WITH YOU. I have been having computer issues, on top of a few weeks of illness, and many of the patterns I’d hoped to have finished/for sale are in limbo. Computer problems are why the Week 1 shawl clues have not been put into pdf files. However, I will be getting a new copy of Microsoft Office and as soon as it is installed, I will be able to get the Shawl clues into pdf files, which I know will make it easier for everyone to use. I will also be able to get the new Fish Hat pattern finished, as well as several others! Thanks, everyone who is waiting, for your patience. I have been able to get one pattern ready, and it will be for sale tomorrow, with a link here on my blog as well as on its Ravelry page: the “Molesley’s Roadworks Cowl” is crocheted with 200g of worsted weight yarn and has fun, versatile, removable fringes. 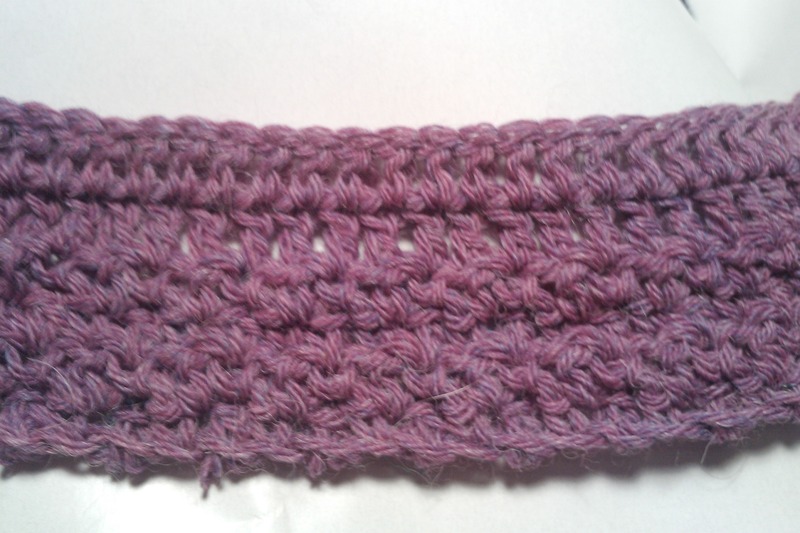 Suitable for men or women, it is very quick to crochet, and uses a stitch I found in a Victorian baby sock design. Violet, Dowager Countess of Grantham: “It’s the job of grandmothers to interfere!” I am a grandmother, but I do try my best not to interfere. 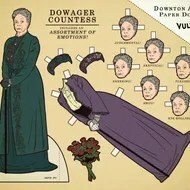 While you work on your shawl, your grandchildren (or children) can amuse themselves with Downton Abbey paper dolls, by Kyle Hilton. Download them all when you go to their webpage! 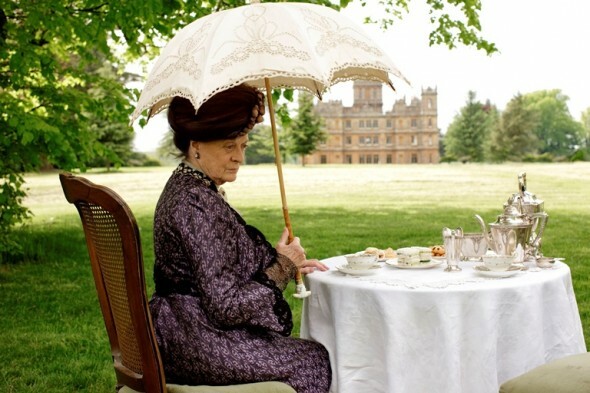 “TEA WITH LADY GRANTHAM” SHAWL uses stitch patterns that are different from “LADY EDITH’S LONDON NIGHTS” SHAWL. 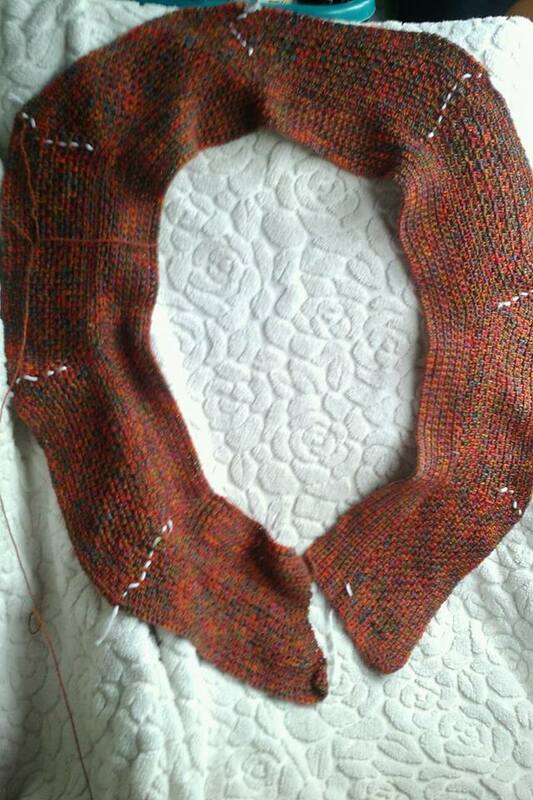 Both of the shawls will have the same size and shaping–a crescent shaped shawl that is worked from the top down. However, the Lady Edith Shawl is single crochet based, and the Lady Grantham Shawl is double crochet based. For this shawl I am using a 3.5mm hook and Berroco “Ultra Alpaca Fine;” it is a soft, heathered wool/alpaca/nylon blend yarn that is widely available–ask for it at your LYS; I purchased mine at Uptown Yarns in Courtenay, BC. You can also order it online at outlets like Jimmy Beans Wool, who are hosting the knitted “Downton Abbey Mystery KAL 2014” that inspires my crochet pattern. I chose to use a soft pink-violet shade (12176 Pink Berry Mix). The colour is not accurate in these photos, but you can see the granite stitch border (at the bottom of the strip) which has interesting texture, and you can also see that–so far–the shawl is reversible. The “TEA WITH LADY GRANTHAM SHAWL” is no longer a free pattern. As with all my “Crochet / knit-along-while-I-design” patterns, once the patterns are complete I wait a little while then the patterns become paid pdf downloads. There will be more of these crochet/knit-along-while-I-designs soon–they will be announced on my Face Book Page, G+, Twitter, and Pinterest. 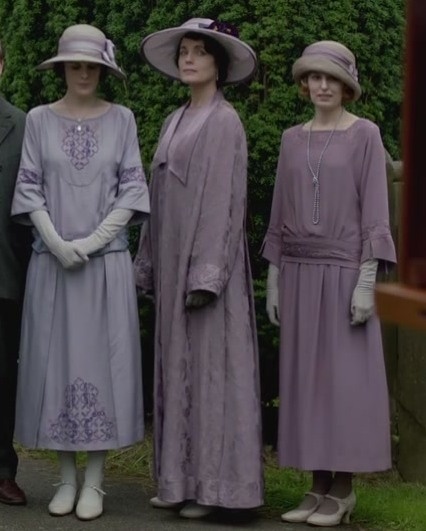 Lilac/violet/purple colours are often seen in Downton Manor; it was the colour you could wear for the “half-mourning” period, beginning 6 months after mourning the death of a family member began. In Episode 1 of Series 4, you notice that Anna offers Lady Mary a lilac coloured shawl to take downstairs in case she decided to go outside. Lady Mary–dressed in black–replies rather shortly, “Where is the black one?” Her husband Matthew has been dead for 6 months. Later in the show we see her wearing lilac. The first photo, below, is a scene at the christening of Sybil and Tom Branson’s infant daughter–they are, of course, in mourning still for Sybil. Copyright Note: the Downton Abbey tv set photos are not my copyright; they were found on the internet but clearly Copyright is held by the TV studios. I am using them only demonstrate fashion and social norms of the era. Monika Eckert (Wollklabauter) has just announced a new mystery knit-a-long, starting soon–the “Masked Ball in Venice”. She has not even given the yarn requirements yet, so there is lots of time to join the group before it starts! Go to her blog to get the information, or visit her on Ravelry. 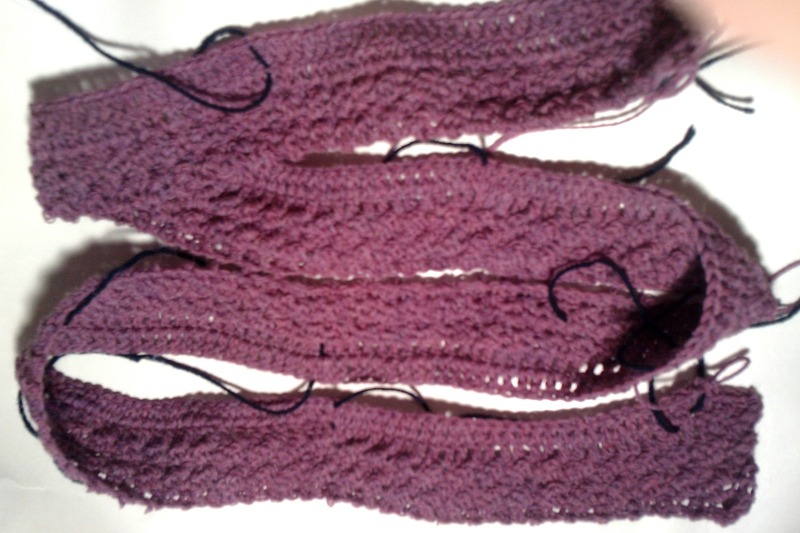 Moni celebrated her birthday in April by sharing a mystery KAL on her blog–the Taurus shawl. Moni’s designs are so lovely, and it is really wonderful of her to celebrate her own birthday by sharing a mystery design–it was free for the duration of the KAL and afterwards will be available for sale, along with other patterns, in her online shop! I used one skein of Noro Silk Garden Sock yarn my daughter bought me for MY birthday last summer–I’d been keeping it for something special, and Taurus shawl is it! The finished shawl is about 60″ (150cm) wingspan by 24″ (60cm) deep, using 5mm needles. Vernal Equinox Surprise, Mystic Star, Springtime Swirl, and Wings of Horus……can I do it???? I think so…on Moni’s blog, she says it is about five weeks before the knitting starts! Now…out into the sunny garden to knit!